Branded Promotions. Most Sought After Brands. Quality Suppliers. Personal Service. Our approach is to work with our clients to provide one-on-one personalized service to best match solutions to client's needs. We strive to become your marketing partner. Our direct accounts with popular brands provides exceptional pricing and quality products. 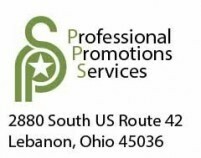 A new way to think of promotions solutions...PPS.